We are hiring the whole resort, just 10 rooms , 15 people so we can have a private chilled out retreat. Lots of yoga, mediation and pranayama. 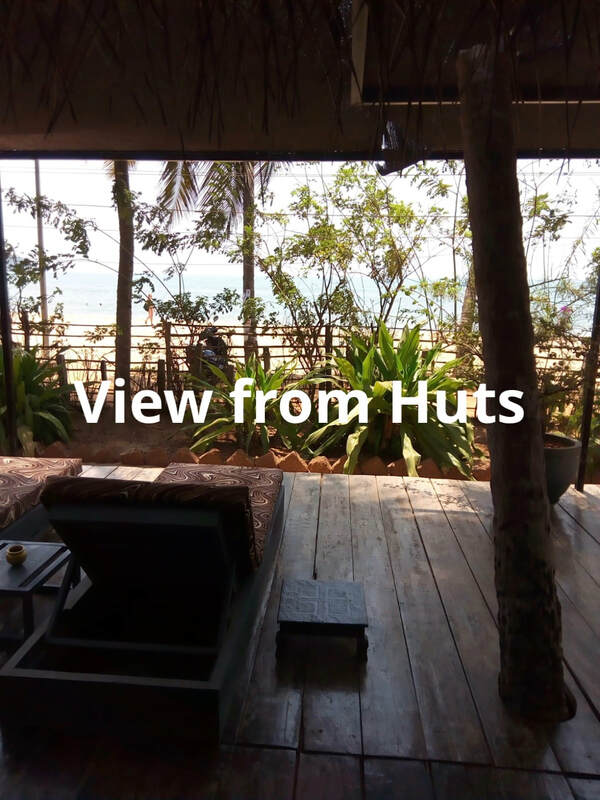 We are staying at Turtle Hill which is at the quiet end of Patnam beach and not far from Palolem beach . Both beaches are good swimming beaches. 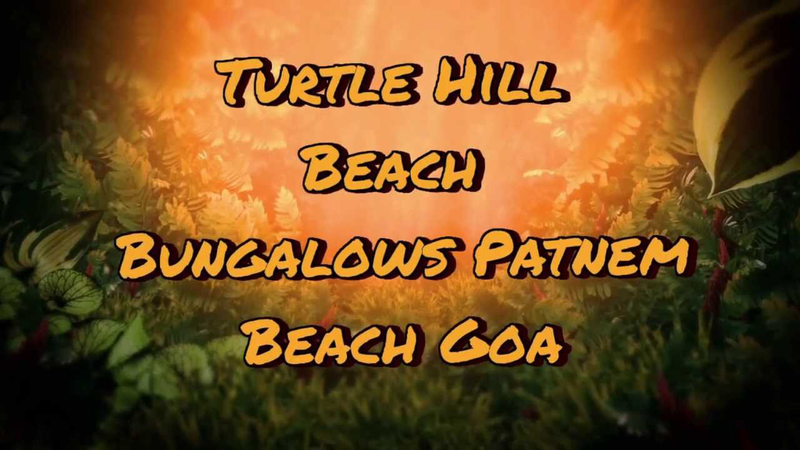 Turtle hill is unique as it is 4400 sq meters with just 10 rooms ! 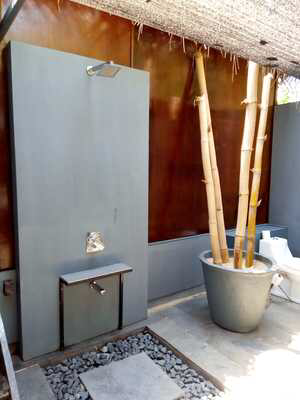 Each bungalow is secluded and tranquil. The higher up the hill each one is the better the view and workout! 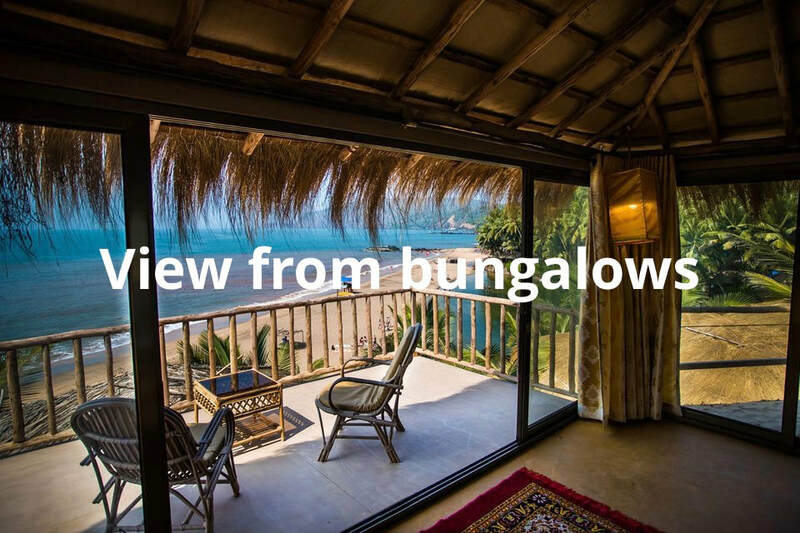 The 4 beach huts are right on the beach and the 6 bungalows are in the hill looking out to sea . They have to dismantle the bungalows and huts each year and rebuilt for the new season . If you view them on older websites they look completely different. They have become more and more upmarket and gorgeous with each seasons rebuilt When I stayed last month there was a fence as well as the trees and a security guard to keep it extra safe and exclusive. 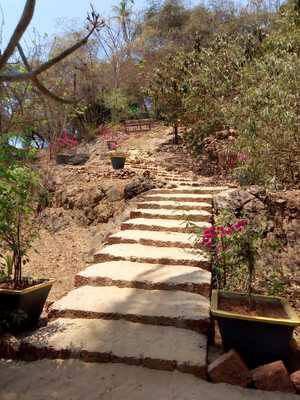 We have a beautiful large yoga shala that’s open on all sides yoga looking out to sea . In addition to our spacious accommodation there are super communal areas with comfortable furniture and more loungers .There is always somewhere we can find to have quiet times on our own or enjoy company . 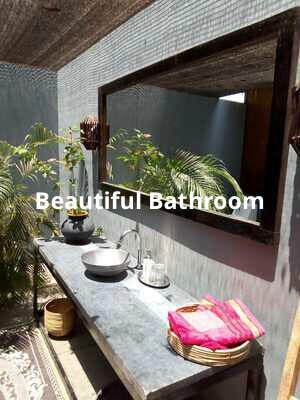 There are lots of Ayurvedic centres for massage and treatments near by and various trips and outings available. You could even travel to North Goa for the day . 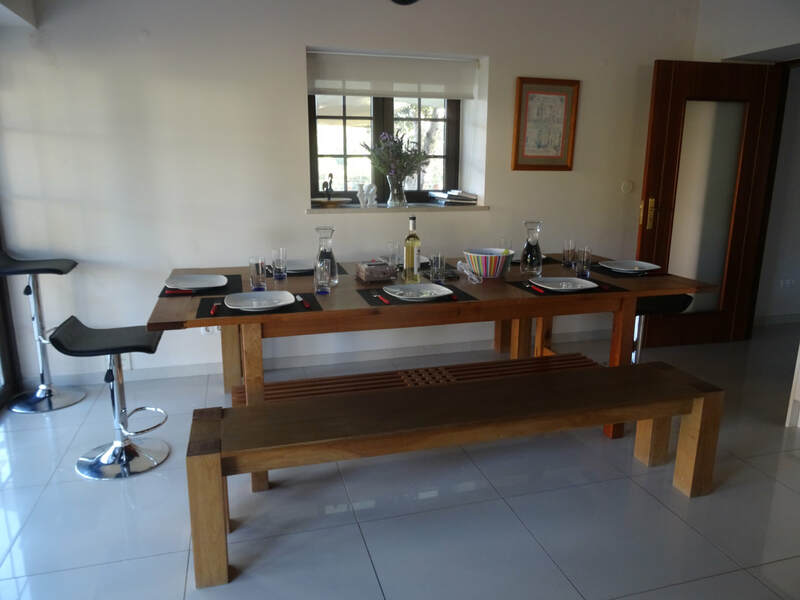 ACCOMADATION - the 6 bungalows have a double bedroom, sitting room, deck and large bathroom. They add a single bed which you can choose to go in the bedroom and maybe have a week then swap or you could choose to have the single bed in the sitting room and again swap rooms after a week . 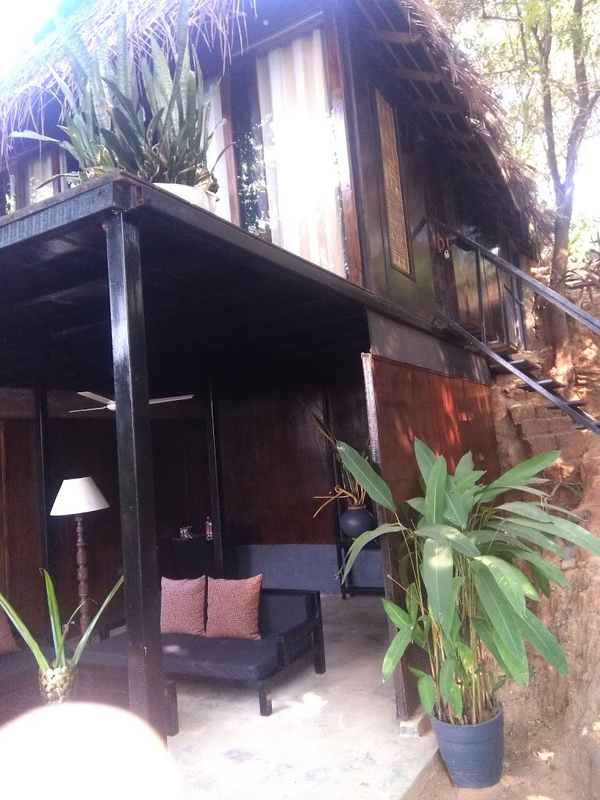 The 4 huts also have a large double bed, there own deck with loungers and beautiful spacious bathrooms. The layout and decor can change each season . I found it extremely tasteful and spotlessly clean . The rooms are serviced every day which is not usual for Goa. Below is a guide. I am totally flexible to fit in yoga to suit the group but most importantly the weather. Chill out time to take a walk, go for swim, lay on your loungers or the beach, have a massage or go and explore. There are lots of other wonderful beaches around the coast . 6ish -yoga. Gentle evening practice . Mainly yin ,nidra and meditation. Dinner. There are fridges in our rooms so we can keep a few bits for snacks etc but there is so much choice for yummy cheap meals. I found a few restaurants back from the beach, less touristy. My favourite is Cows Corner . You will see why it’s called that when you get there ! They have various recitals and preformances as well as amazing food . Don’t worry if you are not into spicy food there is mild Indian food . Lots of other crusines are available including vegan and vegetarian. Bungalows 2 sharing @ £1250 each. Price includes accommodation, yoga & brunch. You can do a week for half the above prices if you have some one to share the 2 weeks with you or I may get others wanting a week . Check out the airfares to Goa. Tui and Thomas cook fly direct. Thomas cook are already getting booked out for our dates . Tui is good because although a bit more expensive they use a Dreamliner aircraft which has lots of benefits. Their times for the 1st and 16th are good too . If you are staying for less than the 14 nights you could look at other airlines like Air India and British airways etc as they have a more comprehensive timetable but they stop over in Delhi or Mumbai etc . We have to arrive and depart with the same carrier for some reason. The airfares are higher now. They may come down but it’s probably safer to book now . It would be nice if we can travel as a group but if you do need to arrive later I will send a car to collect you so you can just look for the driver with your name on the sign as you come out of the airport. Likewise if you are leaving earlier Turtle Hill will organise a car to the airport for you. The management and staff just couldn’t be any nicer. They carry bags happily up and down the hill for us . Very important to check you have your medical / travel insurance is up to date as I am not covered for you in any way . PLEASE DO NOT BOOK YOUR AIRFARE UNTILL YOU HAVE YOU CONFIRMED YOUR PLACE WITH ME. "Lovely relaxing yoga in a peaceful location. Sallyanne is a wonderful teacher, her style of yoga is very calming for the body and soul. I went not knowing anyone else but friendships were made. 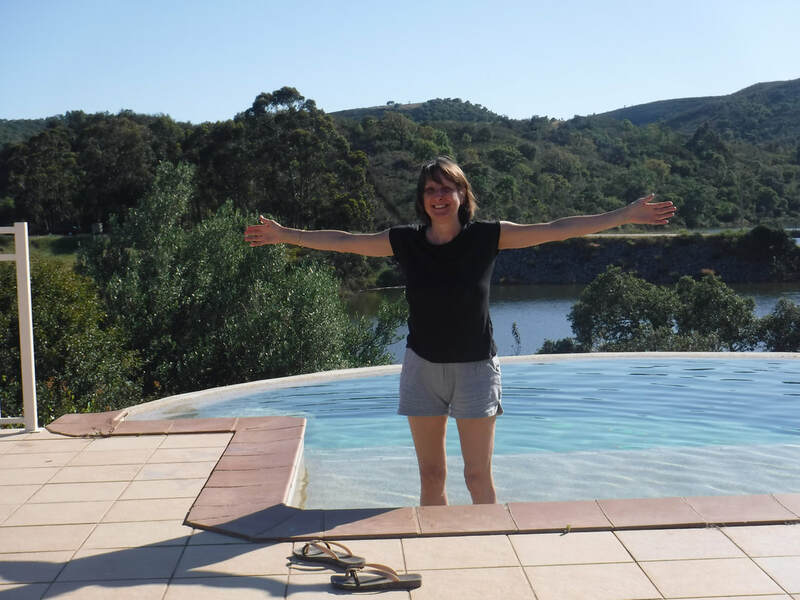 "This was my first yoga trip with Sallyanne and I enjoyed it very much. 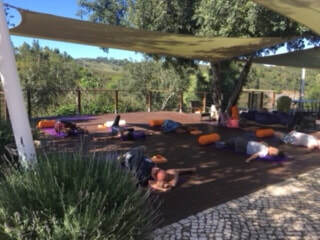 Yoga practices held in beautiful surroundings. This is the perfect place for a yoga retreat." ~E. Weybridge .